Kirito and Asuna. 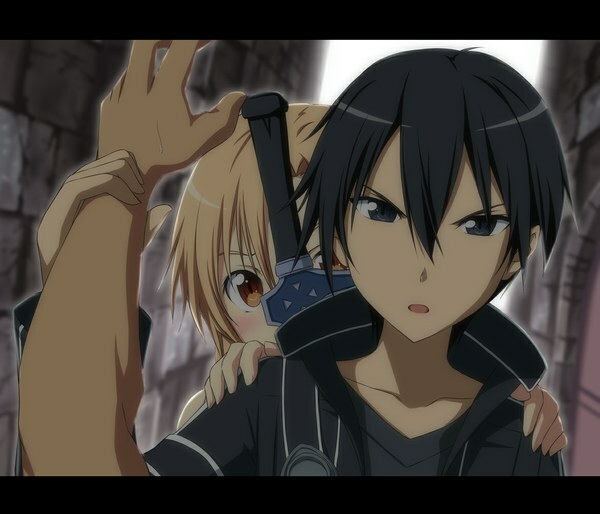 Kirito protecting Asuna. Wallpaper and background images in the sword art online club tagged: kirito asuna sword art online. This sword art online photo contains animado, cómic, manga, historieta, anime, and dibujos animados. There might also be retrato, tiro en la cabeza, primer, headshot, primer plano, en la cabeza, and closeup. It's nice, but Kirito's eyes look a little, funny.